Leaders in industrial power transmission for decades, Dunlop© offers the largest and most complete range of Rubber and PU Belt products that meet today’s stringent requirements. 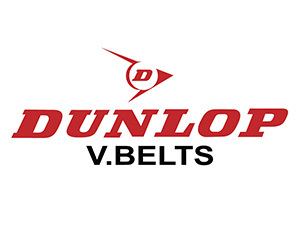 Manufactured in South Korea using the highest quality raw materials and utilizing rigorous quality control processes, Dunlop© belts meet internationally accepted standard and cross sections. Dunlop© quality systems are accredited ISO 9001 and ISO 14001.